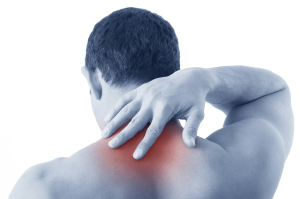 Neck pain is very common and most people have one or more episodes of neck pain during a lifetime. Pain and stiffness can make it difficult to turn round – for example, when reversing a car. Symptoms may appear suddenly, as when someone wakes up with a stiff and painful neck, or gradually. The pain may be limited to the neck or may be accompanied by headaches and dizziness, or with and pins and needles down the arm or hand. Physiotherapy plays an important role in the management of your neck pain and helping to reduce the possibility of future episodes. Your treatment will often include manual techniques, home exercises and stretches, postural advice, massage and pain relief recommendations. Contact us for an assessment with our specialist physiotherapists at our Dinnington, Chesterfield or Doncaster clinic for your individualised treatment plan.